Gilbert, Arizona (February 21, 2018) - The fifth annual Arizona Food and Farm Forum will be held May 8-9, 2018, at The Farm at Agritopia in the town of Gilbert, Arizona, with the aim of influencing the way Arizona feeds itself and does business locally. The event is presented by Local First Arizona Foundation, a statewide nonprofit focused on building opportunity in Arizona through community and economic development in order to build self-sufficient, healthy and prosperous communities. With over thirty breakout sessions, lightning presentations, and community resources, there will be opportunities for everyone to learn about Arizona's local food economy, including marketing, growing your markets, access to financing and grants, developing relationships between buyers of local food and producers of local food, the regulatory environments that affect local food production and resources that exist for local producers and food system participants. “The Forum will be an exciting way to learn about and put into practice strategies that expand and enhance local food businesses and connect with key leaders in the state’s local food movement,” said Lanning. Gilbert’s revitalized Heritage District sets the perfect backdrop for the event, welcoming all Arizonans in to see the Town’s commitment to urban agriculture, high-quality food, and local heritage. "Our partnership with Local First Arizona Foundation has been, and continues to be, outstanding," said Dan Henderson, Director of the Gilbert Office of Economic Development. 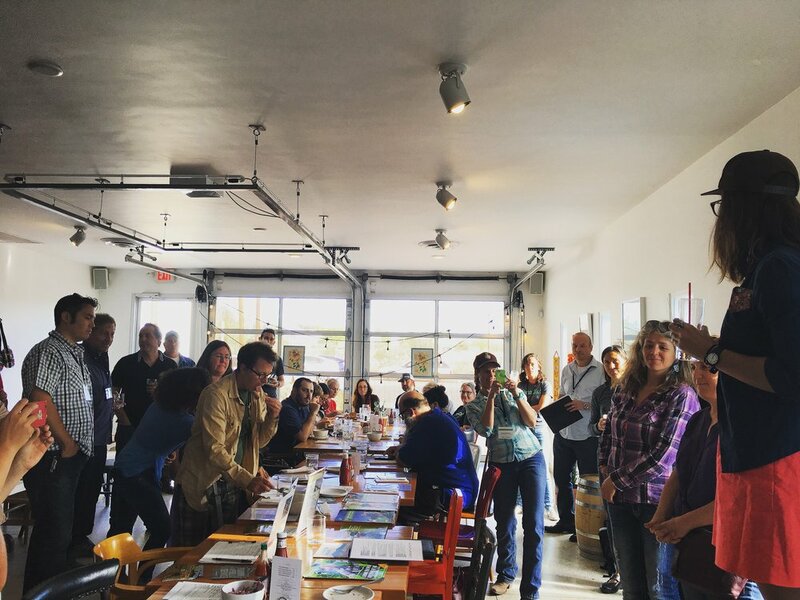 "Hosting the Food and Farm Forum in Gilbert allows us to showcase the best of Gilbert as well as highlight the exceptional work of Arizona's farmers and restaurateurs." The event is open to anyone interested in Arizona's local food economy, including food producers, buyers of local food, food manufacturers, financial institutions, farmers market managers, agribusiness developers, beginning farmers and ranchers, local governments, chefs and restaurateurs, policy makers and elected officials, non-profit staff, and students. Special ticket prices are also available to the young farmers of Arizona (under the age of 20). Tickets for the two-day event will be on sale now, with early bird pricing available through March 20th. Speakers and programming will be announced on a rolling basis. Registration and more information is available at http://localfirstazfoundation.org/azfoodforum. The Local First Arizona Foundation (LFAF) works to strengthen local economies and build opportunity for all Arizonans to create an economy that is sustainable, resilient, and celebratory of diverse cultures. LFAF focuses on a wide range of strategic initiatives that target systems of inequity. These initiatives include powering Arizona’s entrepreneurs through the Fuerza Local Business Accelerator Program; celebrating Arizona’s homegrown foods through the Healthy Local Foods Initiatives, and strengthening Arizona’s small town economies through the Arizona Rural Development Council and other rural programming. LFAF is the sister organization to Local First Arizona, where both work hand-in-hand to strengthen Arizona’s economy. Find more information at localfirstazfoundation.org.